Wonderful well maintained SPACIOUS Home on a CUL-DE-SAC large landscaped Lot(0.661 ac) with Easy Access to Nature Trails! Main Level features HARDWOOD FLRS(15) in Formal Living/Dining Rm w/Bay Window & Crown Molding! UPDATED Kitchen w/NEW Window(18), Backsplash, plenty of cabinetry/counter space & Eat-In Area w/NEW PATIO DRS(18) to LARGE SOLARIUM! 2nd Level offers HARDWOOD FLRS(15) in ALL BEDROOMS! Spacious Master Bedroom w/Walk-In Closet & Renovated 2P ENSUITE(16)! Generous Size Bdrms & MODERN RENOVATED(16) FULL 5P BATHRM w/Tile Shower, Flooring & Double Sinks! Excellent Size 4th Bedroom & French Drs to the DEN/OFFICE on the lower level w/Full Size Windows offering lots of Natural Light! Fantastic FAMILY RM in Bsmt w/NEW Windows(18), Laminate Floors, Brick Accent Wall & Gas Fireplace! Laundry Room & RENO 2P BATH(16)! NEW ROOF(18), Furnace(09), Central Air(09), Windows(13). Front Deck (18)! HUGE PRIVATE LOT w/Above Ground Pool! Don't miss out! 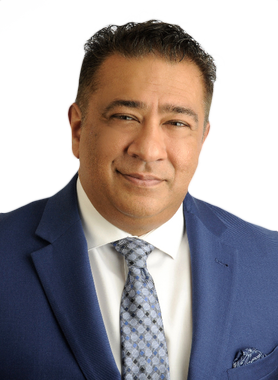 Hi Maz Karimjee, When I was browsing http://realestatechannel.ca I found your listing. Please send me more information about 4 Cousineau Court. Thank you.